Guests at this property have access to a private beach. Marriotts Timber Lodge Tahoe A Marriott Vacation Club Resort has 3 spa tubs, an outdoor pool, a steam room, and a fitness facility. Business amenities at this 4.0-star marriottvacationclub property include complimentary wireless Internet access and business services. This South Lake Tahoe property has a restaurant and a bar/lounge. Additional amenities include a children's club, valet parking, and multilingual staff. This is a smoke-free property. 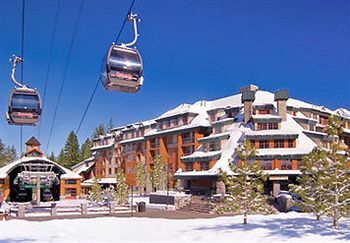 Marriotts Timber Lodge Tahoe A Marriott Vacation Club Resort has 420 guestrooms. Guestrooms have city or mountain views. Televisions are equipped with satellite channels. Guestrooms provide complimentary wireless Internet access, multi-line phones, complimentary weekday newspapers, and voice mail. Beds have pillowtop mattresses, down comforters, and premium bedding. Guestrooms feature microwaves and coffee/tea makers. Bathrooms offer shower/tub combinations, makeup/shaving mirrors, hair dryers, and complimentary toiletries. Additional amenities include sofa beds, separate sitting areas, and climate control. In addition, housekeeping is offered and amenities available on request include wake-up calls. Cribs (infant beds) are available. All guestrooms at Marriotts Timber Lodge Tahoe A Marriott Vacation Club Resort are non-smoking.